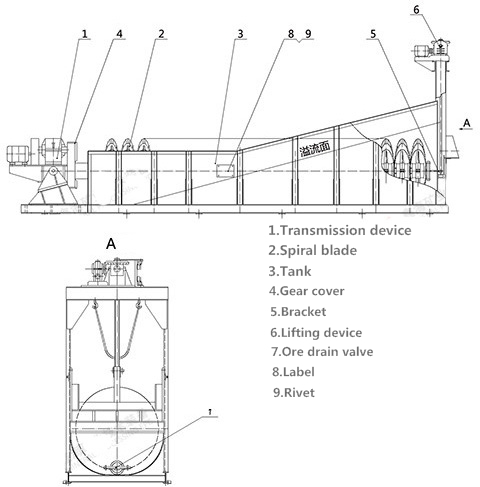 Brief Introduction：The overflow end helix is completely submerged in a classifier under the surface of the liquid. 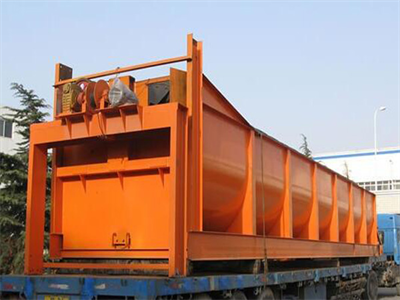 Application：The spiral blade at the overflow end of the submerged spiral classifier is all immersed under the overflow surface, which is mainly suitable for the ore grading of the overflow size of 0.15 to 0.07mm. 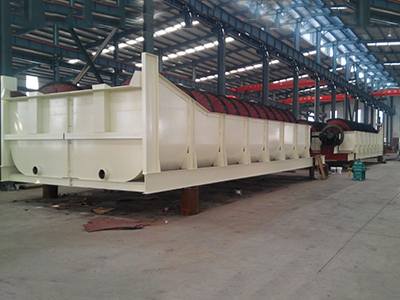 Product Improvement：The return sand end of the sunken spiral classifier increases the automatic lifting device for the return sand, thereby canceling the configuration of the big head of the ball mill, and the ball mill runs more smoothly. 1. The whole spiral blade submerged under the surface of the settlement area, and the settlement area has a larger area and depth. 2. Energy-saving and high efficiency. 3. avoid the frequent overhaul of the big spoon head. 4. 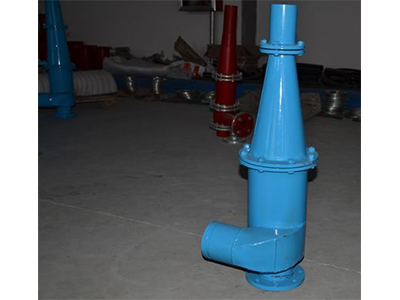 It slows the uneven impact on the large and small gear. Ore pulps are fed into the tank through feeding opening located in the center of settling zone. Beneath the inclined water tank is the ore pulp classification zone where ore pulps are stirred by low-speeded impellers. 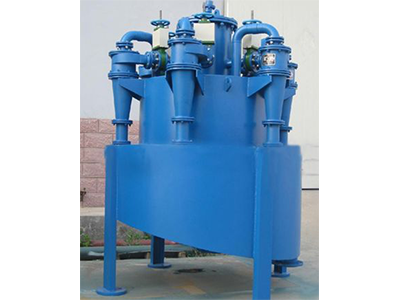 Fine ore particles are lifted up and then spilled out the overflow opening while coarse ore particles precipitate down to tank bottom and are discharged via discharge opening.